The desire to move from one place to another has always been a characteristic of humankind, especially those for whom constant movement is a way of life and a pleasure. Some are pushed by a sense of adventure, curiosity, desire for a change of scenery, a desire to test one’s mettle. This is a natural choice. Recently, however, for a growing number of people, moving has become a dire necessity. These are the refugees who flee from fate and have been forced to leave their homes because of military clashes, depriving them of a place to live, with no means of subsistence. The data on the number of refugees vary but it is more than 42 million people — about the population of a large European country. Naturally, the problem existed even in the most ancient times but in international law the concept of a refugee was coined in 1922 — when this problem reached serious proportions during and after the First World War. The legal documents relating to the status of refugees appeared around that time — the 1951 Convention and the 1967 Protocol. According to these documents, a refugee is a person who left the country, in which he/she resided, due to exceptional circumstances, such as war, armed conflict, as well as the well-founded fear that they could be persecuted for reasons of race, religion, nationality, or membership in a particular social group, etc. 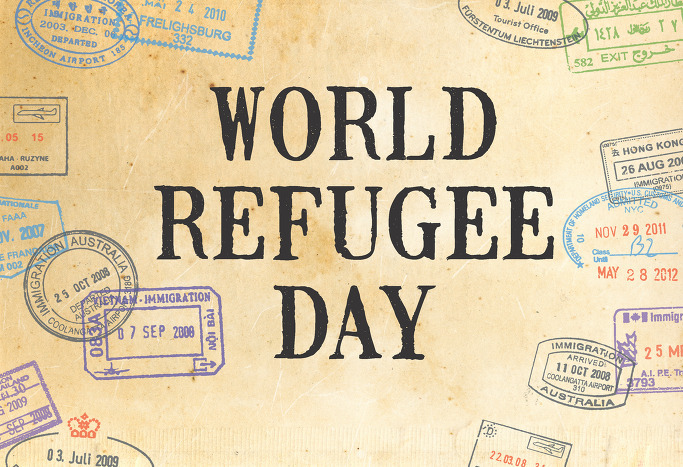 The institutions were created to be involved in refugee issues: the United Nations High Commissioner for Refugees, converted from the International Refugee Organisation established after the Second World War. Assistance to refugees and persons internally displaced during armed conflicts is also provided by a number of different organizations, in particular the International Committee of the Red Cross, with hundreds of thousands of officials engaged in the resolution of problems of refugees scattered throughout the world. The 21st Century, with all its advances of science and technology, not only hasn’t brought results in resolving this problem on a truly global scale, but has also made the problem, somewhat paradoxically, even more acute. Perhaps a more bitter reproach than a sign of sympathy may be the fact that since 2001, June 20 has been celebrated as World Refugee Day. The stories of refugees are similar. Similar in the degree of despair, fear, humiliating position and at the same time different, everyone has their own destiny. The number of refugees continues to grow. One of the most recent examples is the tragedy in the Mediterranean in the spring and summer of this year. According to the UN High Commissioner, in 2014 alone 3,000 people drowned in the Mediterranean Sea while trying to get to the European shore on boats. “Mare Nostrum has become a real graveyard,” one of the officials of Malta said bitterly. According to reports published by media, almost a quarter of a million people (in a year) try to migrate from Africa and some Asian countries (many go through Turkey, Greece and other countries) across the Mediterranean Sea, especially to Spain and Italy, in the hopes of achieving “paradise” on the shores of Europe. These are not adventurers and most of them are distraught from the horrors of continuing armed conflict, the destitute, the most disadvantaged of the disadvantaged. In 2014, 625 thousand people submitted requests for asylum, i.e. refugee status. Alas, there is no reason to hope that the flow of immigrants will be reduced and this is primarily due to the escalation of tensions in many Asian and African countries. The Arab world is experiencing hard times: old and new conflicts are being aggravated, civil wars are literally incinerating Syria, Libya, Iraq, Yemen, and constantly threaten to spill over into neighbouring regions. The destructive power of the almost mystical Islamic Caliphate is scary and unpredictable, growing literally by leaps and bounds thanks to bailouts and massive arms supplies from the United States, Britain, Saudi Arabia and some other Gulf countries. Entire residential neighbourhoods have completely been demolished, reports are received on a daily basis of dead and wounded in the explosions, terrorist attacks, military conflicts. The quiet peaceful life of thousands of families is suddenly destroyed and they become refugees. More than 3 million people were forced to leave Syria because of the ongoing civil war. Some of the refugees were placed in special camps — mostly in Lebanon, Jordan, Turkey. More than 1.5 million Iraqis fled their homeland after the US invasion in 2003, when the recently prosperous developing country was ruined, shattered, fragmented. Hundreds of thousands of people have fled Iraq to escape the atrocities of ISIS. Against the background of these events, due to the hostilities affecting the whole mass of the civilian population in the Arab world, few people remember that Saudi Arabia expelled nearly 800 thousand Yemenis from the kingdom, because Yemen supported Iraq’s aggression against Kuwait. More than half a million Lebanese were forced to flee from their own country during the civil wars and conflicts. Nobody mentions the 300 thousand Palestinians expelled from Kuwait for cooperation with Saddam Hussein during his attack on Kuwait in 1990. The sad list of countries from which the stream of refugees comes, to our general shame, has expanded to include Ukraine: the situation prevailing there since the coup in February 2014 forcing more than 1 million people to flee their homes and seek refuge in Russia. But there is a category of people who pass on the refugee status, inevitably accompanied by heavy moral injury and experiences, from generation to generation. These are the Palestinian refugees. “Who would have thought then, 65 years ago, when the Middle East Agency for Palestinian Refugees (UNRWA) was created, that this structure would last so long,” said UN Secretary General Ban Ki-moon in a statement in June in connection with this date. The Agency (established on the basis of UN General Assembly resolution number 302[1V] on December 8, 1949), which started operations in May 1950, provides technical, medical and household assistance to Arab refugees from Palestine, and continues to operate to this day. The Agency’s mandate has been extended. Moreover, since its functions were expanded, it began to include different types of humanitarian aid, assistance in education and other areas, and many different international and regional organizations are connected to the implementation of its activities. The bitter truth is that its work, even though it makes the daily life of the refugees a bit easier, has done little to change their position in the world community. Today there are more than 5 million (many believe the real figure is 6 million) — nearly four generations (refugee status is passed from parents to children) of people who have spent their lives in refugee camps, in exile, scattered throughout the world, mainly in Arabic countries. Of registered refugees, 65% are under 25 years old. Almost all have an education, but there is no work, and almost no opportunities to obtain it outside the camps where they live. The situation of Palestinian refugees is horrific, a multi-layered humanitarian tragedy — they are shackled by a ruthless blockade, and live in constant fear of another raid by Israel’s military actions in appalling living conditions. The Israeli-occupied Gaza Strip and the West Bank is home to more than 1.5 million Palestinians. Israel prevents them from returning to their homes (and this despite the fact that “people everywhere, and this certainly applies to Palestinian refugees, have a natural right to stay in their home country and have a future,” as states the report of the UN Secretary General at the 22nd session of the UNGA and in many other documents). The refugees in the occupied territories may be arrested by the occupation authorities for an indefinite period, and are subject to stringent administrative restrictions on movement. They are cut off from their usual traditional productive activities, which effectively force them into destitution; intolerable living conditions in refugee camps lead to the accumulation of frustration, anger, hopelessness, and powerlessness to prove the validity of their claims, which gives rise to anarchist sentiments, pushing them to desperate acts, and from here is a direct route into the trap of terrorist organizations. This is evidenced by documents and stories written by Palestinians about their fates. To read them without tears is impossible. For example, one of the most wrenching, literally forcing the reader to sob, is the one so talented and vividly set forth in the story “Mornings in Jenin” by the Palestinian Susan Abulhawa, born to a family of refugees, who went through all the circles of hell of the Palestinian tragedy. This book deserves to make the list of required reading for high-school and college students. The question of the Palestinian refugees is a constant point of negotiations and consultations to resolve the Middle East conflict, known as the longest and most protracted in modern history. The most vulnerable spot is the reluctance to explore and the deliberate obscuring of the origin of the causes of the refugee problem. Resolution 2535 of the 24th session of the UNGA clearly states that “the Palestinian refugee problem arose in connection with the denial of their inalienable rights guaranteed in the UN Charter and the Universal Declaration of Human Rights”. How and why did this happen? This issue is important to dwell on, as the causes of the refugee problem, the extent of their suffering and the effects in different countries are similar, this is the key to understanding the possible consequences of the burgeoning humanitarian conflicts today. Palestine has always been one of the nodes in the eastern policy of the world powers, since it is an important strategic springboard for asserting influence in the area of the Middle East, to monitor transport routes between the three continents. Already during the First World War bargaining began between the Entente countries to establish special relations with the “Holy Land” — Palestine, then a part (since 1516) of the Ottoman Empire and considered part of Greater Syria. Mainly Arabs lived in Palestine, Jewish settlements began to be established in the late eighteenth — early nineteenth century. At the first Zionist Congress in 1897 at Basel, Palestine was declared the “ancestral land”, the resettlement of Jews to the territory and the formation of a Jewish state was proposed as a solution to the Jewish question. The omnipotent government of the kingdom of England reacted favourably to the idea of creating a “national home”. It was sealed in 1917, the document remained in history as the Balfour Declaration (the letter by then Foreign Minister Lord Balfour to Rothschild — a known figure of the Jewish community), in which the UK government pledged to promote the establishment of a “national home for the Jewish people” in Palestine. France, another powerful colonial power of the time, was forced to declare recognition of the Declaration in 1919, and then its consent to the transition of Palestine to British control. In 1920 at a conference in San Remo Britain received the mandate over Palestine, and by relying on the promised “Jewish home” — greater freedom to manoeuvre in the acute political game in the world. It was the first act in the tragedy of the Palestinian people. Thus began the movement of the Jewish Diaspora to the shores of Palestine. During the period from 1919 to 1932 one hundred nineteen thousand Jewish immigrants entered the country. With the assistance of England numerous organizations were established for the development of the Promised Land: the Jewish Agency, the Jewish National Council, the Jewish National Fund, the Immigration Youth Movement, and many others. And on Palestinian land a program had already been rolled out to clear the territory for Jewish colonization, to expel Arabs from their homes in various ways, including by direct violence and terror. The most successful was the organization “Haganat”, established in 1920 which later became the core of the Israeli Army. It was a classic example of ethnic cleansing. Paramilitary organizations, arising like mushrooms after the rain such as the “Irgun Zvai Leumi” (1935) and its splinter group “Stern” openly proclaimed their main objective of creating a racially pure Jewish state and the expulsion, if necessary, of the Arabs from their territories. For the sake of verity, one can mention that these organizations, which subsequently relied on the US, harmed even the British. For example, in 1944, terrorists from “Stern” killed the British Secretary of State Lord Moyne in Cairo. Perhaps best known is the bombing organized by terrorists in 1948 in Jerusalem at the hotel “King David”, which housed the British higher command. It all seems like ancient history. In fact, the bombs planted then are going off even today. In Palestine itself the relations between the Arab and Jewish communities strained sharply. In 1918, 708 thousand Arabs lived in Palestine — 93% of the population, with 57 thousand Jews. Arabs owned 97.5% of the land. In the aftermath of the Balfour Declaration to the adoption of the UN resolution on the partition of the mandated territory in 1948, the number of Jewish settlers increased by a factor of 10 — up to 650 thousand, and out of the total Palestinian population of 1,970,000, Jews already made up one-third. The UNGA Resolution 181(11) of 29 November 1947 was supposed to create Jewish and Arab states, as well as an international zone of Jerusalem, the proclamation of which was scheduled for October 1, 1948, but without waiting for that date, the militants of “Irgun Zvai Leumi” and “Stern” began “cleansing” the territory, which was to be allocated to the Arab state. Every Palestinian family knows, remembers and cannot forget the brutal murders, massacres, tortures. The name of the village of Deir Yassin became a household word: it means extermination and genocide. The ashes of Klaas are still heavy in their hearts. Then there was the war of 1948–1949, the humiliating defeat of the Arab armies that came to the aid of the Palestinians, it still is a heavy stone in the hearts of all Muslims and remains eternal in the political lexicon, “Naqab”, in Arabic means defeat, humiliation, disaster. After the creation of Israel in 1948, occupation followed during the war of 1967. More than half of the Arab population of the West Bank and Gaza Strip was forced to escape from repression and persecution, to leave their homes, where many generations of their family lived for decades. Some of the refugees were lucky to find shelter and get jobs in the Arab countries (about 2.5 million), but a large part was left in UN-sponsored camps. According to Palestinian agencies a half million people were driven out before the war in 1948, and about 274 thousand were expelled from their homes, which were in the territory of Israel itself after 1948, resulting in 875,998 registered refugees in 1951. As a result of the war in 1967 this number increased by 750 thousand, to which another 150 thousand were added from the occupied territories after the 1967 war, then the war in 1973, with more refugees yet again. As a result, according to official statistics, taking into account the population growth in the Palestinian camps, there are about 5 million (and according to Palestinian sources, nearly 6 million) people who have been exiled, deprived of the commonly recognized right to live on their land. Israel categorically refuses to discuss the question of refugees in the format of any negotiations, since the right of the current 5 million to return calls into question the very existence of the Jewish state. It demands that the refugee problem be solved by settlement and absorption in the Arab countries. In general, it is also claimed that the Palestinians left their homes voluntarily. This is in glaring contradiction with the UNGA resolution 194(111) of December 11, 1947 and article 13 of the Declaration of Human Rights, which provides for “the unconditional right of refugees to return to their homes and live at peace with their neighbours, or to receive appropriate compensation for their lost property”. The Israeli governments, one after another, especially the current zealous one of Benjamin Netanyahu, is stepping up the construction of Israeli settlements in the occupied territories, contrary to and in violation of UN resolutions adopted on the issue and numerous appeals from governments and leading political and public figures of different countries. It is true that there have been rare times when Tel Aviv has demonstrated a willingness to find a solution to the refugee problem. For example, Ehud Olmert as prime minister, as part of his “package deal” proposed in August 2008, admitted one thousand refugees to Israel each year for five years. Later, he even agreed to the terms of the Palestinian side, which demanded that he take 1,000 refugees over 10 years. Thus, the total number of Palestinian refugees that was supposed to be allowed to return was 10 thousand people. This was much less than what was proposed in 2000 by Yossi Beilin, who represented Israel on behalf of the cabinet of Ehud Barak in the negotiations on the possibility of the return of refugees (then it was about 15-40 thousand people a year for ten years). But it all fell into oblivion. Perhaps the tragedy of the Palestinian refugees and the entire Palestinian problem lies in the fact that the documents about the events that were the real reason for this seemingly impossible impasse in the Middle East settlement were hidden in a distant archives cabinet. However, these events are not erased from the memory of millions of Palestinians, but have been passed down from generation to generation. In the above-mentioned address on the occasion of the 65th anniversary of UNRWA, the General Secretary of the UN called for a speedy resumption of Palestinian-Israeli negotiations, interrupted last spring. And everyone recognizes that without practically ensuring the legitimate rights and interests of the Arab people of Palestine, without addressing the question of refugees, there cannot be peace and normal development of the countries in the region, and the security and future of Israel itself cannot be guaranteed. Today, the entire Middle East burns, ignited by greed, the desire to dominate everywhere, to rule and impose its will, and under that guise to rob, cheat, sell weapons. Civil war is profitable. And those who incite it have no pity for its indispensable companions — refugees. Refugees have become an integral feature of the political landscape of the contemporary world. But perhaps the worst thing is that the international community is beginning to get used to the existence of this problem, almost as a natural component of our lives. 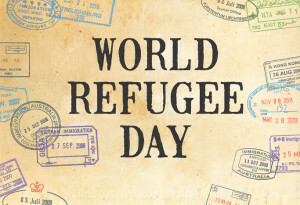 And rather a reproachful and bitter irony than a sign of sympathy is the fact that the refugee problem has taken a global scale, and for the 14th consecutive year, June 20 is celebrated as “World Day” for those who have been forced to leave home and go wander the world. Marina Rogova, researcher at the Center for Partnership of Civilizations IMI of MGIMO (University) of the MFA of the Russian Federation, exclusively for the online magazine “New Eastern Outlook”.